A few are blessed with paranormal abilities. Others, hone their skills at Motion Education pvt. Ltd.. Perfection is a dream always dodging reality. At motion, experienced mentors have empowered ordinary students to achieve the academic extraordinaire. Thedeclaration of JEE Mains result is like a fruit reaped against a year of rigorous, nerve-wracking hard work and large focus. 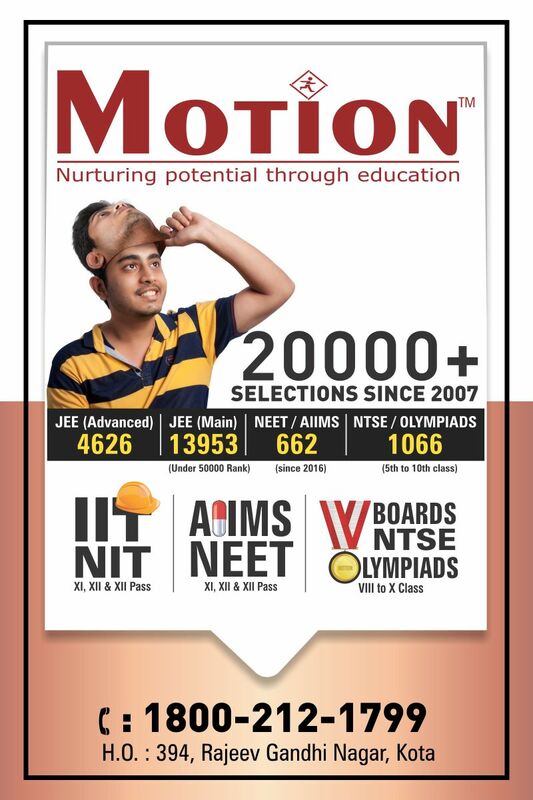 On its journey of empowering Indian youth to achieve their dreams, Motion is overwhelmed to win your trust and build a name credible all along the education industry. After all, the ‘Sadharan’ students have turned out ‘Asadharan’ in their test of dedication, hard work,and passion for an extraordinary career. Resultsof experienced educationists and paranormal physics have finally met. Motion is proud of Nitin Gupta who has scored a perfect cent percentile in the physics section of JEE mains. There are three students with an unbelievable 99.99 percentile (overall). It has been an absolute class performance by MOTIONites who have a significant 27.78% of students scoring above 95 percentile. With this we achieved 983 students over 95% tile, 282 students touching the success sky at 99 percentile and a grand 17 students having 99.9% tile. 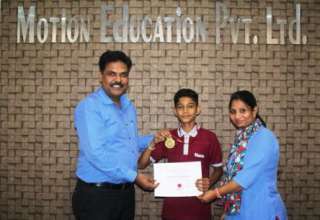 The long story of success sums up with one of our students striking through the top hundred ranks, 28 students got ranks within 1000 and 1152 students tasting success within top 50,000 students. The state of the art education system and various residential and classroom program like Class 11, Class 12, Drona have helped Motion achieve the status of pride and unbelievable results. The excellent rigorous coaching and the guiding light of friendly guidance have helped students enrolled in our quality driven residential program Drona to achieve these results. Motion is delighted to share this moment of pride and smiles from the young achievers. It is the trust of parents which has helped motion excel on this canvas of competitive examination coaching. Next article Why should you opt for science stream after 10th standard / for Junior College?